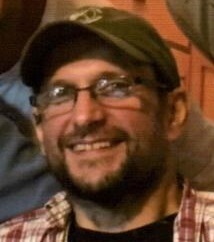 Timothy Stephen Hepner, 52, of Applewold, died Monday, Jan. 21, 2019, at UPMC Passavant Hospital in McCandless. He was born Nov. 23, 1966, in Johnstown, Pa., to the late Timothy D. Hepner and Mariann Cabala, and was a lifelong resident of Kittanning. Tim was of the Presbyterian faith. He liked politics, movies, music, playing cards, coin collecting, MMA, dune buggies, and spending time with friends and family. He is survived by his brother, Bert Hepner and his wife, Molly, of Kittanning; niece Allie Hepner, of Kittanning; three nephews, Cade Hepner, Gram Hepner, and Layne Hepner, all of Kittanning; step mom, Connie Yoakum and her husband, Glenn, of Kittanning; and numerous aunts and uncles. He was preceded in death by his parents, Mariann Cabala and Timothy D. Hepner. Tim enjoyed life and enjoyed being with people. No matter the situation he faced, he made friends and overcame adversity, including at the Dialysis Center in Kittanning, and Life Care in Natrona Heights. He was a generous and loyal friend and a proud, doting uncle. He will be sadly missed by those who love him. Friends will be received by the family Saturday, Jan. 26, 2019, from noon until the time of a memorial service at 1 p.m. at the Snyder-Crissman Funeral Home in Kittanning with Pastor Dana Wilmot officiating. In lieu of flowers, memorial contributions may be made in Tim’s honor to the LEAF Fund at Lifecare at Lifecare Hospital, Attn: Karen Yawitz, 1601 Carlisle St., Natrona Heights, Pa. 15065.